My two sons are doing Ju Jitsu this year - a change from years of soccer. My commitment to them (and my wife) was that I would ferry them every Tuesday/Thursday evening. I made that commitment as I felt it was about time I put at least one of the kids' activities into the schedule as a priority. I was going well - 100% success rate since December…….until this week. I called my wife asking her to pick up the boys because "I ran out of time". I grimaced as I heard those words escape my mouth. How many times have you broken a promise to yourself or to others because you don't "have time"? Picture this. You are having an incredibly busy day preparing for an important meeting in the afternoon on top of 100 other things on the list. You are rushing from one thing to the other and you realise you haven't yet found time to have your lunch. Do you stop and eat or keep ploughing through? Let's now change the scenario….on this incredibly busy day you fall down some stairs and break your arm. Do you go to hospital? Or are you too busy? It's interesting to reflect on what things fall into the 'non-negotiables' and what is negotiable. One of my personal non-negotiables is commitment to others, however commitments to myself are more flexible. My wife's non-negotiable is all about keeping people happy. If someone is upset she will go out of her way to ensure they’re OK. These non-negotiables sound aligned but they can clash as became evident one evening. We were running late for dinner with friends in town. As we were rushing to dinner we saw some other friends walking towards us - a random meeting. I greeted them and apologised for not being able to stay and chat as we were running late. As we continued the walk to dinner my wife began to berate me, agitated by my 'rudeness' and lack of compassion. "Who cares if we are an extra 10 minutes late for dinner - the least we could have done is pay them the respect of a proper conversation"
Me….. "How about our dinner guests - how is being late respecting them?" It's safe to say this argument was not resolved that evening. It's interesting how conflict can bring people's non-negotiables to the surface. If you want to know what the non-negotiables are in a team, look for them in conflict - they become obvious. We all saw the Australian Cricket Team debacle recently. Clearly the non-negotiables within the team were different to the non-negotiables that the Australian public held. When a team puts winning above integrity and is supported by a public who have those 2 values the other way around - that's akin to a Molotov cocktail - and what an explosion it was. I’m often called into businesses to help build accountability in teams. 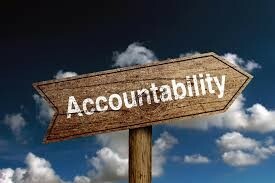 I’ll be writing a series of blogs on the topic of accountability, and it all starts with being clear with each other on what the non-negotiables are. Tune in next time as we explore the black art of accountability further. Focus: Getting leaders out of the trenches. 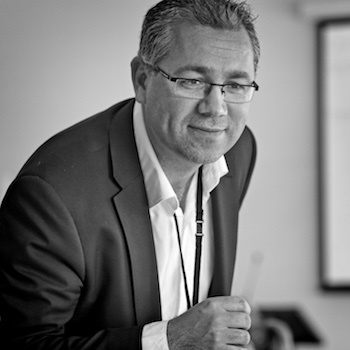 Leaders who don’t have time to lead are a common feature of growing businesses. Ivan can fix that.